The policy is also designed to implement the requirements of the EU Energy Performance of Buildings Directive and in 2008 government and industry jointly set up a non-profit organisation called the Zero Carbon Hub to work together towards realising zero carbon buildings. According to Andrew Warren, Honorary President of the Association for the Conservation of Energy, the Zero Carbon Hub “has proved to be the acknowledged entity to which everyone turns – companies and Ministers alike – to consider how best to progress towards ensuring that only the most energy- and carbon-efficient new buildings are constructed” (in the October 2014 issue of Energy in Buildings and Industry). While 2016 now looming close, the Conservative government decided to abandon the target which has been widely criticised by house builders, planners and green groups (see UK scraps zero carbon homes target). Florian Kern has more than nine years of experience in research, consulting and teaching in the area of energy, climate and innovation policy as well as socio-technical transitions. He also holds a DPhil in Science and Technology Policy Studies from SPRU (2010). 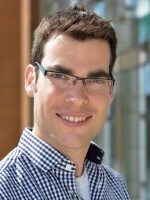 Florian is Co-Director of the Sussex Energy Group, a Research Fellow working on a project on ‘policy synergies and trade offs for low energy innovation‘ at CIED, and a Senior Lecturer at SPRU-Science Policy Research Unit. He co-convenes the SPRU MSc in Energy Policy for Sustainability. 4 Pings/Trackbacks for "The scrapping of the zero carbon homes undermines trust in government’s commitment to energy efficiency"